A Coast Guard response boat carrying six crew members crashed into the Stono River bridge during a search for a plane Sunday night, authorities said. The crash occurred around 10 p.m. and sent all six people aboard the 45-foot vessel to the Medical University of South Carolina with minor injuries, according to a statement from the Coast Guard. Coast Guard Lt. J.B. Zorn said all crew members were discharged from the hospital early Monday. One person suffered a broken nose, and there were reports of a person who suffered a broken arm, he said. Several people were evaluated for concussions. The wreck happened during a search for a small plane that fell off radar over James Island. That operation was suspended Monday afternoon with no reports of overdue aircraft. Zorn said the response boat struck a bridge fender, which damaged the vessel's hull. He didn't know any further details about the crash, which is being investigated by the Coast Guard. A damage estimate was not available. "I think we're going to find out more, the problem factors, to hopefully avoid it in the future," Zorn said. Robert Clarkson was sitting in the cabin of his boat docked at the St. Johns Yacht Harbor on Sunday night when he noticed the wake caused by a Charleston Fire Department boat, which he spotted with binoculars. Clarkson then saw the Coast Guard boat approaching. It's running lights were on, and Clarkson said the bridge's clearance lights were functioning. Weather conditions were clear. "As the Coast Guard approached, I was concerned because they were clearly left of a proper line up," he said. Clarkson said the Coast Guard boat reduced power for a few seconds, "like he was trying to figure out which way to go," and then powered back to what appeared and sounded to be "cruising speed" about 100 yards before the bridge. The boat hit a fender and stopped. "I watched the impact and it was not a glancing blow. It was a direct hit," Clarkson said. The fire department boat and EMS responded. The crew members had been looking for the plane that lost signal with the Federal Aviation Administration. Several agencies in a helicopter and boats participated. Maj. Eric Watson of the Charleston County Sheriff's Office said air support crews searched the area again Monday morning but came up empty. No plane had been reported missing, he said. "We don't know what happened to the aircraft," Watson said in an email. "There is no evidence of a plane crash." The search began Sunday after the FAA issued an alert notice for an unidentified aircraft that had approached a runway at the Charleston Executive Airport on Johns Island about 6:15 p.m. but did not land. The last known radar contact with the plane was near South Grimball Road, according to the Sheriff's Office. The pilot did not communicate on the radio as the plane approached the airport. "The flight was flying on visual flight rules, so communication with air traffic controllers was not required," a statement from the Federal Aviation Administration said. Aircraft on departure from frozen lake field, flipped over. ALTON, N.H. — Alton Bay was a hot bed of activity for first responders Sunday. 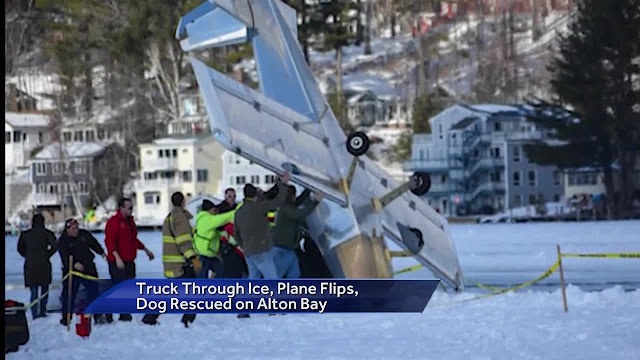 A truck fell through the ice, a plane flipped over, and a dog had to be rescued from the icy water. The bed of the red pickup truck was sticking out of the ice near Sandy Point in Alton. "The initial report is that people were still in the truck when it was in the water so responded up here," Fish and Game Lt. Mike Eastman said. No one was injured. Everyone in the truck was able to get out on their before Fish and Game personnel arrived. But while officers were at the scene, a small plane crashed during takeoff on the ice runway less than a mile away. "We heard people going 'oh wow, oh wow!' so we looked over and there was a plane just sort of toppling over and it was standing on its nose for a second. Then it just fell right over. It looked like a tin can," said Beth Myer, whose daughter ran to help. More than a hundred people were in the area celebrating the winter carnival. "There's a lot of people that went out to help though," said Joshua Hanson, a witness. "There was like 40. They were just running." "It was the type of plane where the cockpit actually slides back," Eastman said. "There's no door or anything on the outside so the pilot and the passenger were trapped inside the plane at that point." The good Samaritans helped lift the plane off the ice. "We couldn't get the hatch back so the pilot said just break the window. I used my baton to the break the window out and we were able to get the pilot and the passenger out," Eastman said. Neither person was injured. Once they were out safely, the plane was flipped back over and eventually towed away by a snow machine. Minutes after things started to calm down, a dog became trapped in icy water underneath a dock. The dog appeared to be a stray and was rescued safely after several tense minutes. Fish and Game officials said it appears the plane hit a snowbank along the runway, causing it to flip. Nobody was injured today but they're urging people to use extreme caution on the ice, especially after the mild weekend. Recently, three people died when their snowmobiles went through the ice in Alton and Moultonborough on Lake Winnipesaukee. BUSAN - In this industrial port city on the country’s southern coast, Korean Air’s sprawling parts production facility hums with machinery producing all manner of airplane pieces. 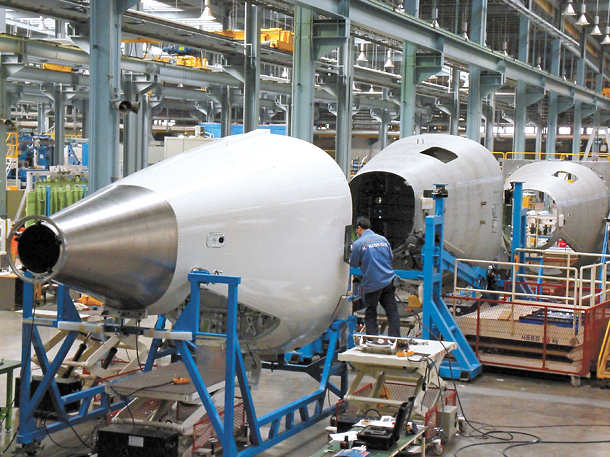 Inside a room at the Busan Tech Center, about a 15-minute drive from Gimhae International Airport, a nozzle sprays black composite material on a large cone-shaped piece of metal that would eventually become the afterbody, or rear end, of a Boeing 787-9. “We have to keep this room extra clean because even a tiny particle added to the composite material could cause product defects and force us to scrap the part in the end,” said Ryu Hwa-soo, general manager at the center’s commercial aerospace plant. The room was open for just a couple of minutes to give visiting reporters a peek before it was quickly closed. Along with the afterbody, Korean Air produces four other parts at the facility: the raked wingtip, which reduces air resistance on the wing; the stringer, which serves as the “bone” for the fuselage; flap support fairing underneath the wing; and the after wheel well bulkhead at the fuselage’s center. All are used in the Boeing 787-9, also known as the Dreamliner. Korean Air has been supplying parts for Boeing’s 787 series since 2006. While the airline is known for being the country’s largest passenger and cargo carrier, its business of producing parts and certain aircraft like helicopters dates back over 40 years with the establishment of the Busan Tech Center in 1976. Until about five years ago, the center had operated in secret because it developed military planes such as fighter jets. Over 2,700 employees work in 66 buildings spread across 175 acres of land at the facility. The largest source of profit is parts production for commercial planes like the Dreamliner. By the end of this year, Korean Air plans to add five Dreamliners to its own fleet. The first plane, to be delivered by Feb. 27, will likely be used on its new route to Barcelona, Spain, when it opens in April, a spokesman said. The 787 Dreamliner offers 20 percent more fuel efficiency than its predecessor Boeing 767 by using lighter composite material. Compared to conventional aluminum frames, the carbon fiber-reinforced plastic and other composites used shave weight by 20 percent. The jet also emits less carbon dioxide and offers a better in-flight experience with fewer noise, improved humidity and bigger windows, according to Boeing. The Dreamliner can carry about 30 more passengers than its predecessor. In the past, Korean Air only manufactured parts using manuals from aircraft manufacturers after they were developed. Since 2004, Korean Air has been working with Boeing on an international co-development project, where the airline started designing parts itself. In 2010, Korean Air entered a similar project with Airbus, boosting its presence in the world’s aero structure design and supplying market. Now, Korean Air supplies core parts to Boeing’s planes including the 787, 777, 767 series as well as Airbus’ A380, A350 and A340. Brazil’s Embraer also uses Korean Air-assembled parts for its EMB170 and EMB190 planes. Korean Air is currently mass producing unmanned planes for military use. Its first delivery will be in the middle of the year, the company said. Brick Smith, 49, of Bryant, Arkansas passed away February 19, 2017. He was born September 8, 1967, in McAlester, Oklahoma to the late Johnny Roy and Linda Beard Smith. Brick was a member of The Church at Rock Creek. He was a Certified Diabetic Educator and licensed registered nurse. 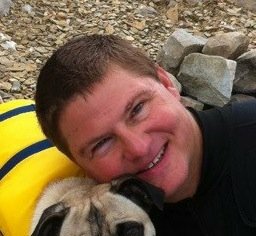 Brick loved extreme sports including scuba diving, skydiving, mountain biking, snow skiing, and fitness. He has influenced many people to live life to its' fullest through health, sports, and wellness. He was a kind, persevering person who dedicated his life to others and always took life "by the horns." Brick is preceded in death by his parents; maternal grandparents, Otha and Louise Beard; paternal grandparents, Roy and Gladys Smith. He leaves with cherished memories; his daughter, Saxon Smith of Bryant, Arkansas; brother, Johnny Blaine Smith and husband Shaun of Oklahoma City, Oklahoma; uncle, Jim Kiley and cousins Teresa Themis and Charla Kiley all of Rowlett, Texas; fur-babies, Beau and Mack; and many more family members and friends who loved Brick and will miss him always. Celebration of Life service will be held at 10 a.m., Monday, February 27, 2017 at Smith-Benton Funeral Home, 322 N. Market St., Benton, Arkansas. Online guest register: www.SmithFamilyCares.com. Authorities have identified the man killed in a skydiving accident in Morrilton over the weekend. Brick Smith, 49, of Bryant was killed in the accident Sunday. No other injuries were reported. The Morrilton Police Department said it received a 911 call shortly after 2:30 p.m. Sunday about a skydiving accident on private property southwest of the Morrilton Municipal Airport. Authorities are working with the Federal Aviation Administration to investigate the accident. Morrilton Police Chief Sonny Stover said the cause of the accident was unknown as of press time Monday. An online search indicated at least two companies offer tandem skydiving and skydiving instruction out of the Morrilton airport. One person died Sunday after a parachuting accident in Conway County, authorities said. 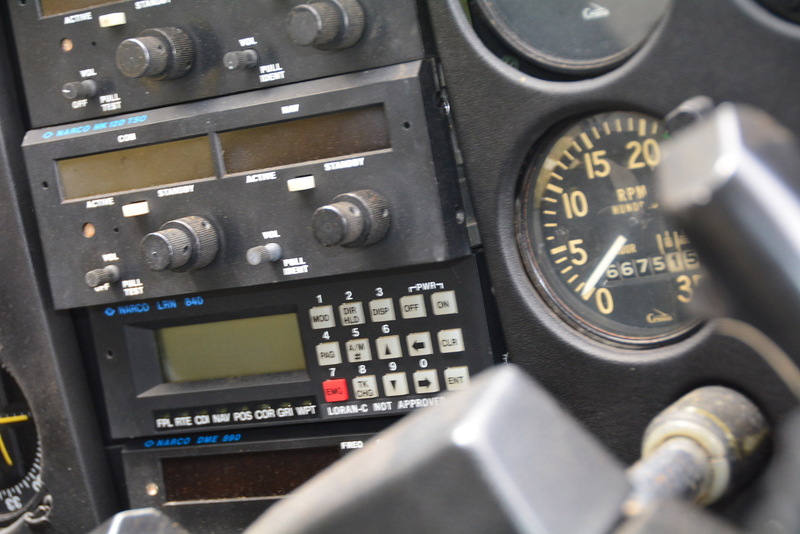 Morrilton police were called at 2:34 p.m. Sunday to a private property just southwest of the Morrilton Municipal Airport for a report of a “parachuting accident,” according to the police department. Authorities determined the accident was a fatality when they arrived on scene, according to a news release from the department. Authorities said the victim was a male, but did not identify him Sunday evening. 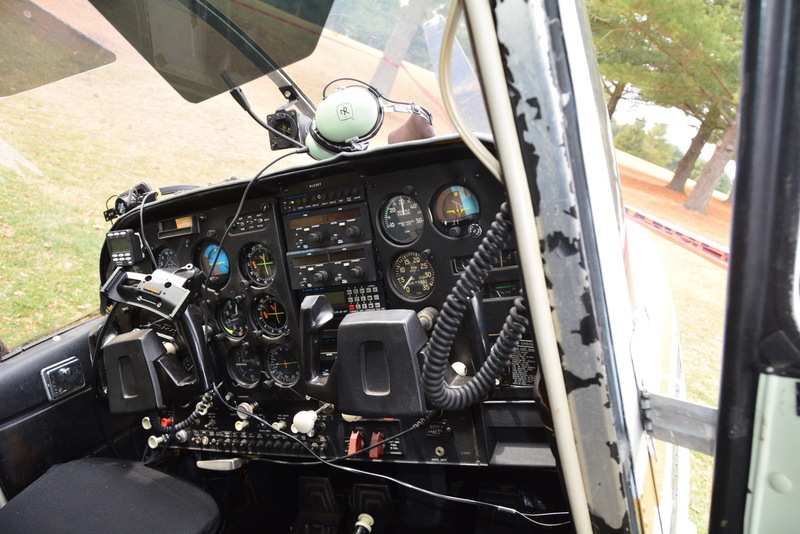 DARKE COUNTY – Darke County Commissioners will be seeking a new airport manager. On Monday, Feb. 13, commissioners approved a letter of resignation submitted last Friday from long-time facility manager Dave Spillers. Spillers’ last day will be March 31. “He had talked about retiring in 2017, but we didn’t know what date,” John Cook, county business administrator said. Spillers had worked as the airport manager for 23 years, Cook said. Prior to the county purchasing the airport, the facility was owned by the Spillers family. Former Governor James Rhoades mandated each county have an airport, and the Spillers’ facility was the natural choice, commissioners explained. What’s next as far as filling the manager’s position will be discussed during the airport advisory meeting, set for 4 p.m. Feb. 27 at the airport. “We’ll be talking to the advisory board,” explained Commissioner Mike Rhoades, “and get their suggestions on” how to proceed. At the Feb. 27 meeting, Rhoades said, a job description for the manager’s position most likely will be discussed. It is still unclear whether commissioners will advertise for someone to replace Spillers or if the advisory board will have other suggestions. What is clear, commissioners say is the airport is in the process of growing in order to attract new business opportunities to the county. The new manager will be asked to assist with the commission’s plan for growth, Rhoades said. Plans are continuing with the expansion of the runway in order for larger planes filled with fuel to have room for take-off, Rhoades said, as well as other improvements around the facility. As part of the contract with Spillers, a house trailer he had resided in, which is located on airport property, must be moved by March 31. Spillers said it would be moved to his new home he’s building on Chase Road. 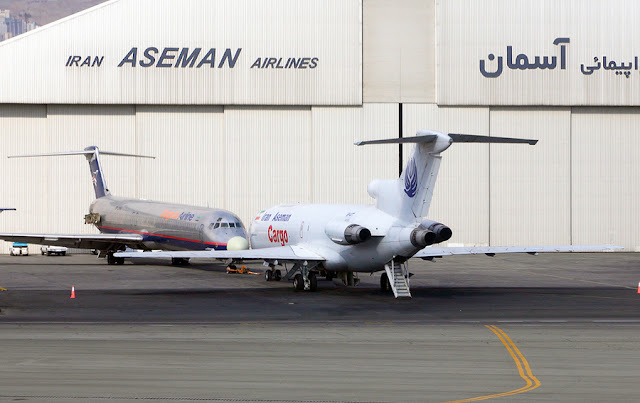 Iranian aviation company Aseman Airlines has entered into an agreement with Rolls Royce to purchase up to 100 aircraft engines, according to a statement from the country’s Ministry of Roads and Urban Development. Aseman is set to purchase 100 Tay-650 “Fokker” engines from Rolls Royce and enter into agreements with the UK manufacturer concerning the provision of spare parts, London-based media outlet Al-Araby Al-Jadeed reported. Rolls Royce Tay engines, of which there are four derivatives (the 611, 620, 650, and 6510), are used in Gulfstream, Fokker-100 and some Boeing 727 aircraft. It marks a major shift for Iranian airliners that have suffered under years of sanctions when companies struggled to get new aircraft or spare parts making travel by air dangerous. A nuclear deal with world powers, including the US, has seen western companies flock to oil-rich Iran. Aseman is also in talks with German aviator TUI over the lease of three Boeing 738 aircraft for a period of three years and has already entered into an agreement with Lufthansa concerning the maintenance of aircraft in its existing fleet. Last week, it was reported that the Iranian airline is set to lease seven A320neo from an undisclosed Irish firm following the signing of a memorandum of understanding between Iran’s Civil Aviation Organization and the Irish Aviation Authority in Tehran the week before. According to a CAO statement issued after the signing ceremony, the agreement will see the IAA help extend technical expertise and assistance in the areas of flight operations management, airworthiness and aircraft maintenance, repair and overhaul to Iranian counterparts. Once ratified, it will also simplify the means by which Iranian carriers can lease aircraft from Irish lessors by improving Iran’s air safety oversight procedures, Switzerland-based airline intelligence provider Ch-aviation reported. Following the dropping of sanctions on Iran in September 2016, the US Treasury granted Airbus and Boeing licenses to deliver planes to Tehran. It is expected that nine planes will be delivered before the end of the current Iranian year on March 20. Iran has also entered into agreements with Lufthansa over the supply of aircraft to the country’s carriers. In total, plans to purchase over 200 aircraft are said to be in place and are set to cost billions of dollars. However, Tehran is wary, as the White House’s approach to the nuclear deal could change after Donald Trump’s rise to office. But in signs that Tehran is pushing on with purchases to help modernize its outdated air travel infrastructure on Friday, Iran’s Ministry of Roads and Urban Development also stated on its website that it had entered into the final stages of negotiations with French companies Thales Group concerning the purchase of radar equipment worth $11 million and airport developments. Additional talks, said the ministry, were also ongoing with Dutch airport consultancy firm NACO over the modernization and development of Tehran’s airport. Iran Aseman Airlines’ fleet consists of three A320-200s, one A340-300, four ATR72-200s, two ATR72-500s, three B727-200s, one B727-200(F), two B737-400s and 19 Fokker 100s. 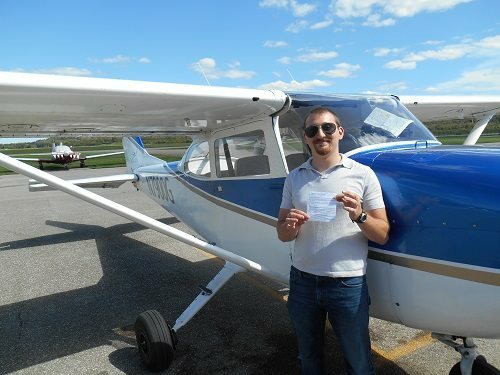 The National Transportation Safety Board continues to investigate what caused the plane to crash that killed Jordan Spier, 24, of Wilmington. Family members said Jordan Spier was the nephew of the plane’s owner, Dr. Ronald Spier, a Springfield surgeon. A view from Sky 7 showed the plane still down in a field near Interstate 70 in Clark County Monday with investigators remaining on the scene. Investigators plan to look into the pilot, maintenance records for the plane and weather as part of their investigation. The Ohio State Highway Patrol has identified the pilot killed as 24-year-old Jordan A. Spier of Wilmington. 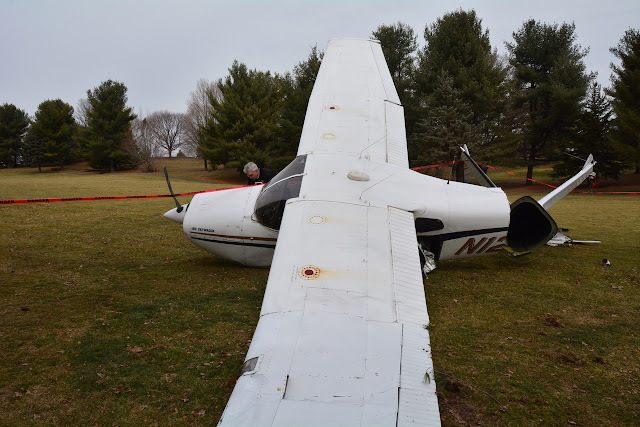 Witnesses reported seeing the plane, a Macleod homebuilt fixed wing single-engine experimental plane crash near a private airstrip at a residence in the 300 block of Titus Avenue. 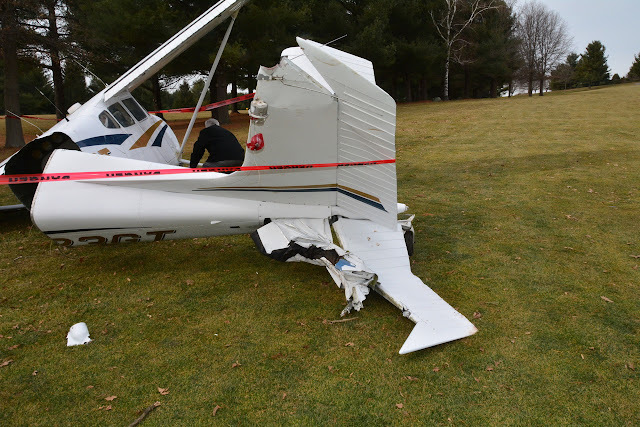 The pilot was the only occupant of the plane and was pronounced dead at the scene, according to the patrol’s Springfield Post. The FAA will be investigating the cause of the crash. OSP Sgt. Richard Dixon said Spier had a valid license. The plane was registered to Dr. Ronald Spier, a Springfield surgeon, but the patrol did not release how the pilot and aircraft owner were related. Harmony Twp. Fire and EMS, Pleasant Twp. Fire and EMS, Clark County Sheriff’s Office and Clark County Coroner’s Office also responded to the scene. A 25-year-old man was killed in a small plane crash this afternoon, according to the Ohio State Highway Patrol. The aircraft was registered to a Springfield surgeon, but he was not the pilot. 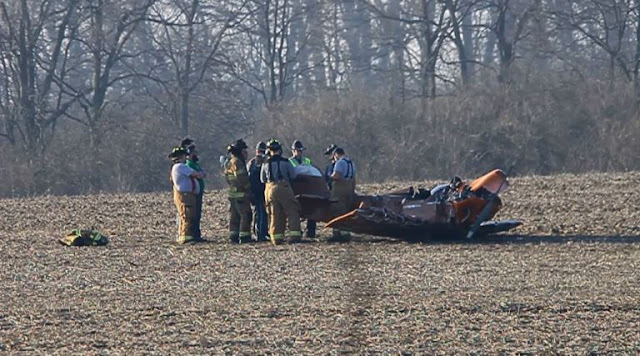 The patrol’s Springfield Post is investigating the crash, but has not released the pilot’s identity, nor the pilot’s relationship to the registered owner. 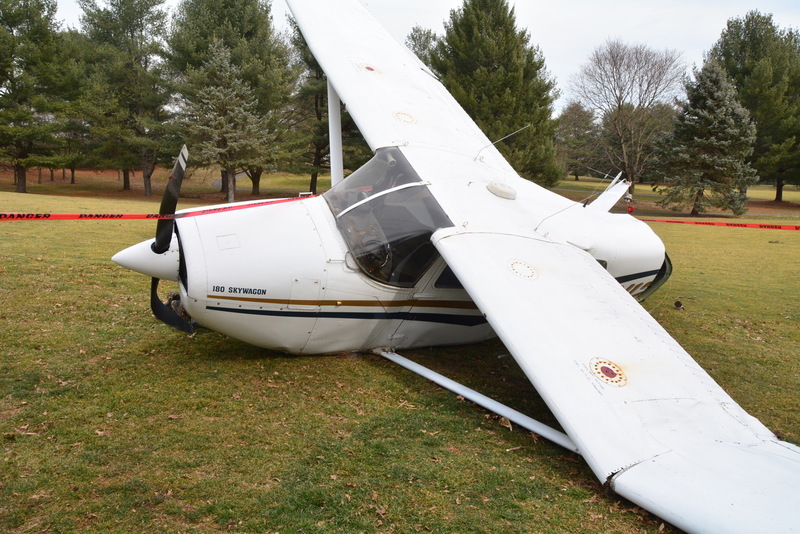 News Center 7’s Caroline Reinwald spoke to the doctor’s neighbors, Brian and Debbie Miller, who said their neighbor has two hangars and an airstrip on his property. 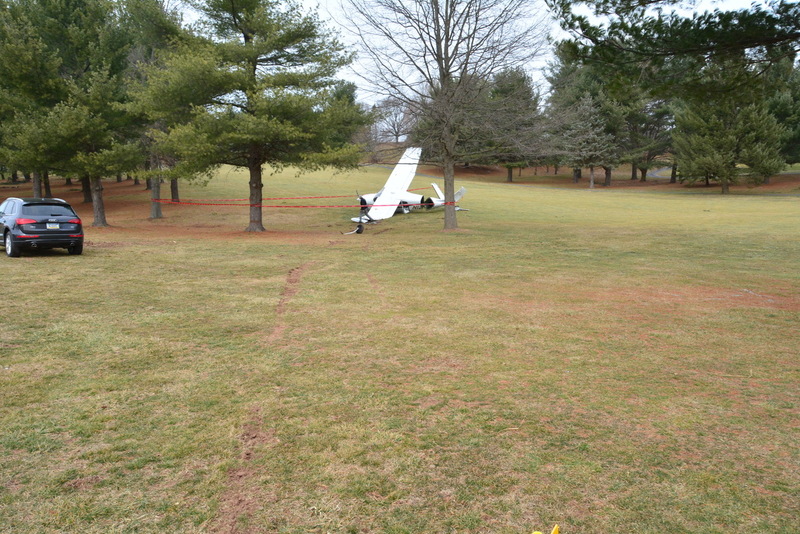 The small plane that crashed in a field near I-70 in Harmony Twp. and resulted in a fatality this afternoon is registered to a Springfield resident, according to the Federal Aviation Administration. Information connected to the plane’s tail number is registered with the FAA. 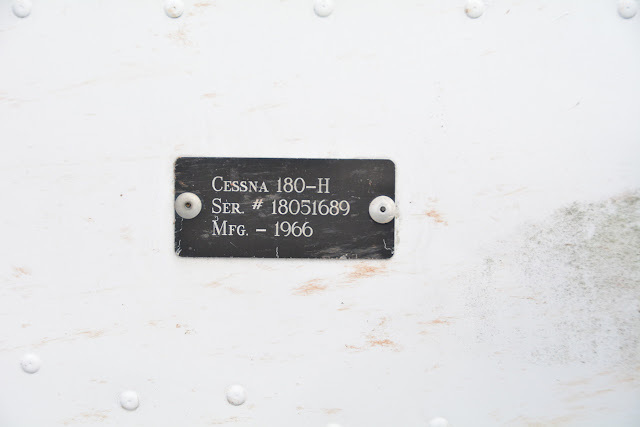 The registration information indicates the plane was homemade in the 1970s and was considered an experimental aircraft. At least one person was killed in a small plane crash in Clark County this afternoon, according to an Ohio Highway Patrol trooper on the scene. We’re working to confirm that a small plane crash in Clark County has resulted in at least one fatality. Emergency crews and the Ohio Highway Patrol Springfield Post are on scene, which is in a field not far from I-70 in Harmony Twp. Emergency dispatch centers are unable to confirm the number or severity of injuries that are being reported from the scene. According to emergency scanner traffic, CareFlight was called for one person who had suffered a head injury. A short time later, emergency scanner traffic indicated an official at the scene reported to dispatchers the incident has resulted in a fatality. The medical helicopter was then canceled. The Ohio Highway Patrol Springfield Post is responding to the report of a small plane crash near South Charleston. The crash was reported in a field near the 600 block of Fletcher Pike. Early reports indicated emergency crews were responding to an area west of I-70. 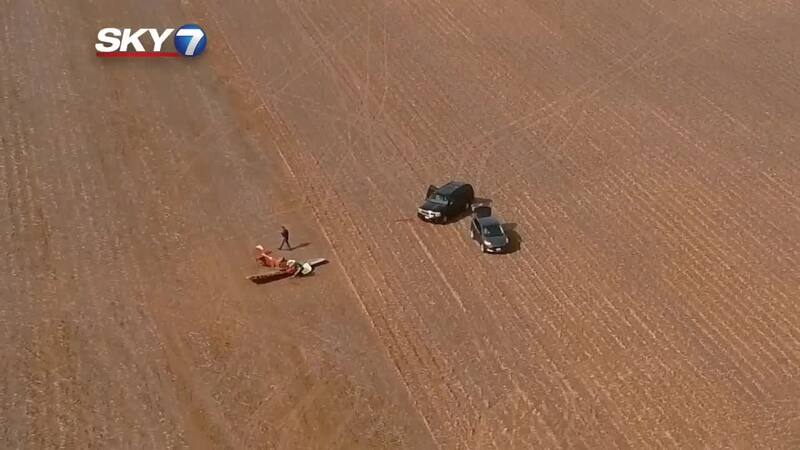 HARMONY TOWNSHIP, Ohio (WDTN) – A pilot died after crashing into a Clark County field Sunday afternoon. 24-year-old Jordan A. Spier, of Wilmington, was pronounced dead at the scene. It happened around 4 p.m. about a mile north of I-70 at mile marker 61. Investigators say it took off from a nearby private airstrip on Titus Road. FAA records indicate it was a fixed wing single-engine plane that went down. It’s listed as an experimental, amateur built aircraft. It’s registered to a Ronald B. Spier of Springfield. According to Sgt. Richard Dixon with the Ohio State Highway Patrol, no one witnessed the crash, however, drivers on I-70 saw the mangled plane in the field and called 911. “We received some calls from motorists on 70 that saw the plane in the field and one person on Titus Road that saw the plane appeared to dive to the left and disappear behind the trees and never actually saw the plane crash,” Sgt. Dixon said. It appears when the plane hit the ground it was going at a slow speed, according to officials. “There wasn’t any debris thrown anywhere it was all contained right there.Tthe plane hit the ground and pretty much stuck. Didn’t spin, twist, roll,” Sgt. Dixon said. The FAA and the NTSB are expected to investigate the cause of the crash Monday morning. Springfield — The Ohio State Patrol confirms a 25-year old pilot of a single-engine experimental aircraft appeared to have died instantly when his plane crashed in a Clark County field just after 4PM Sunday afternoon. Investigators say people driving along Interstate 70 West saw the wreckage in the field, then called 911 for help. Sgt. 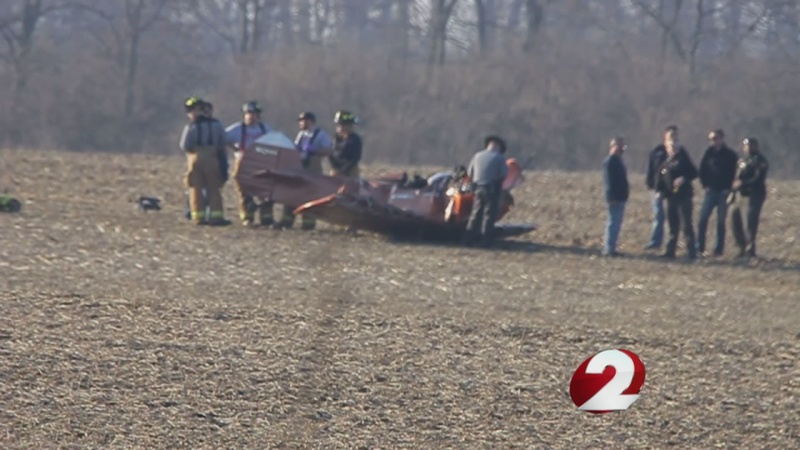 Richard Dixon with the Ohio State Highway Patrol says the pilot was not from Clark County, but the airplane was locally owned and registered and had taken off from a nearby private airstrip. "A witness said he had taken off and landed several times, but they didn't see the particular incident where he crashed" Dixon said. He says no one else was on board the older-model aircraft when it happened. He adds weather conditions were clear, and there were no apparent signs of any distress calls. OSP plan to secure the scene around the crash site throughout the night. NTSB and FAA teams will arrive Monday morning to begin their investigation to determine a cause. The victim, who's name hasn't been released, has been taken the Clark County Coroner's office for an autopsy according to investigators. 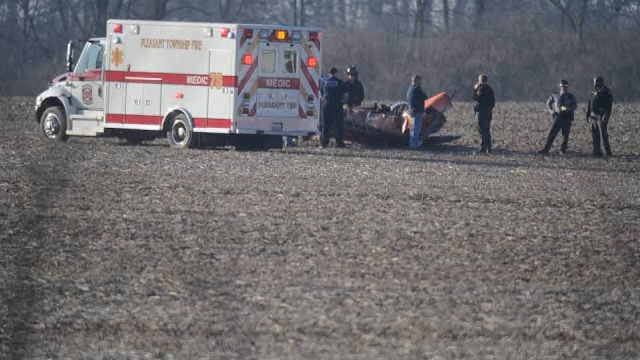 HARMONY TOWNSHIP, Ohio (WDTN) – A 25-year-old pilot died after crashing into a Clark County field Sunday afternoon. The aircraft is registered to a Ronald B. Spier of Springfield. 2 NEWS is working to confirm whether the man it’s registered to is the victim. Officials say no one witnessed the crash, however, drivers on I-70 saw the mangled plane in the field and called 911. Some passersby jumped the fence to see if they could help the victim who died on impact, according to officials. The plane took off from a nearby flying field, which is a small landing field for aircraft, with short runways and more limited servicing facilities than an airport. The pilot of the tailwheel-equipped airplane reported that, during takeoff, the airplane encountered a wind gust and veered to the left. He corrected with right rudder and left aileron, and the airplane veered to the right. Subsequently, the airplane exited the runway to the right, the left main landing gear sheared off, and the airplane impacted two trees. 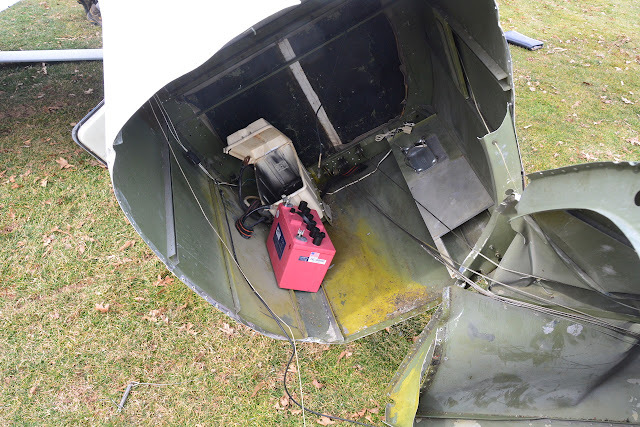 The airplane sustained substantial damage to the fuselage, empennage, and left wing. A review of local weather at the airfield about the time of the accident showed the wind was 300° at 10 knots. The pilot was departing on runway 34. The pilot’s failure to maintain directional control during takeoff in crosswind conditions. The pilot of the tailwheel equipped airplane reported that during takeoff the airplane encountered a gust of wind and veered to the left. He corrected with right rudder and left aileron, and the airplane veered to the right. Subsequently, the airplane exited the runway to the right, the left main landing gear sheared off, and the airplane impacted two trees. 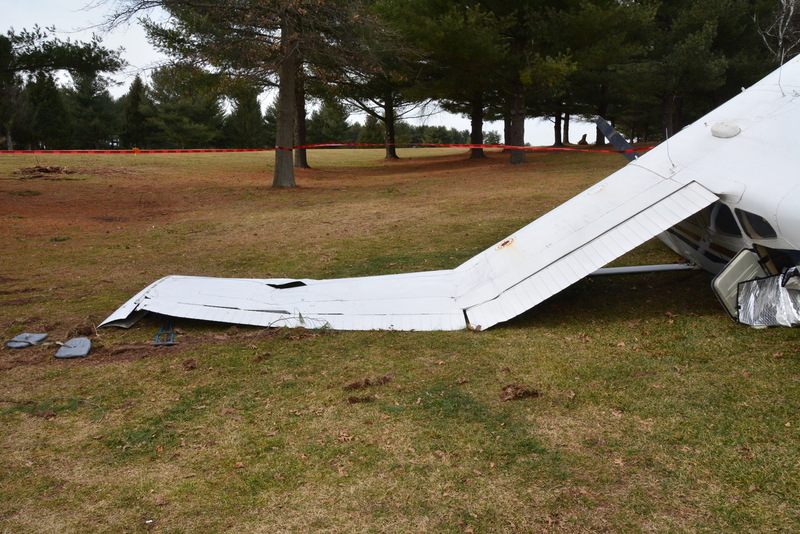 The airplane sustained substantial damage to the fuselage, empennage and left wing. A review of local weather on the airfield about the time of the accident showed, the wind was 300° at 10 knots. The pilot was departing on runway 34. 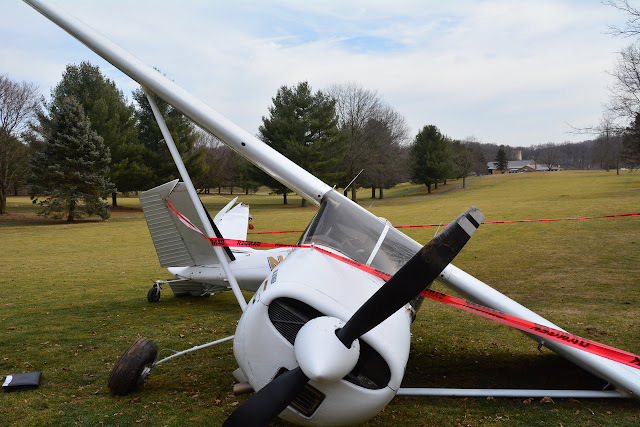 Upper Hanover Township, PA -- A small airplane crashed Sunday afternoon after taking off from an airport in Upper Hanover Township, Montgomery County, damaging the aircraft but leaving its four passengers uninjured, officials said. 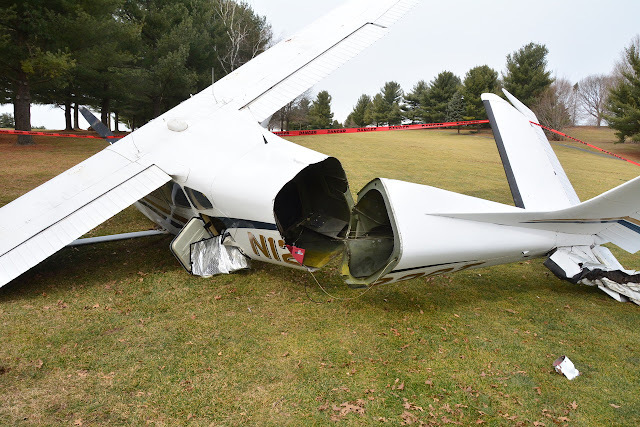 The crash occurred about 2:45 p.m. near Butter Valley Golf Port Airport along Gehman Road just east of Bally, said Rick Breitenfeldt, a Federal Aviation Administration spokesman. Airport owner John Gehman said that it was likely the result of a small gust of wind that caught the plane at just the right moment. Gehman said the plane went down in Upper Hanover Township, just over the Berks line. He said damage to the plane was extensive but passengers were unharmed. 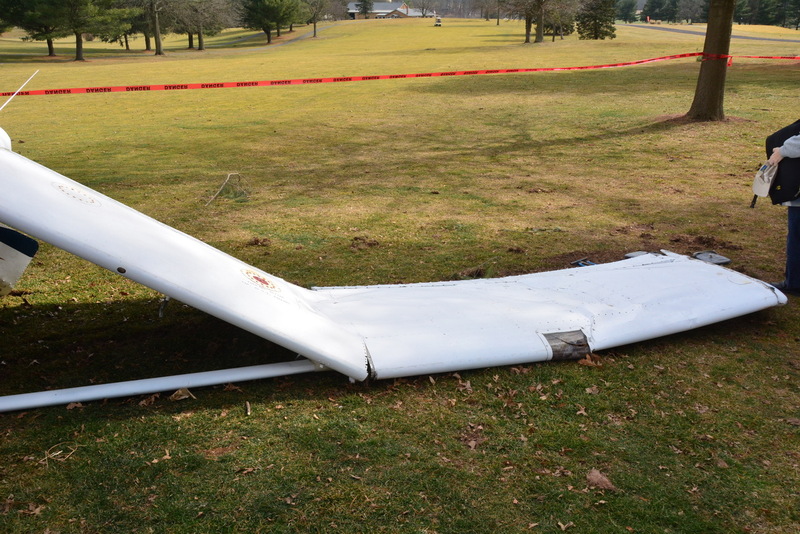 State police at Skippack referred all inquiries to the FAA. Breitenfeldt said in a statement that FAA would investigate the accident. 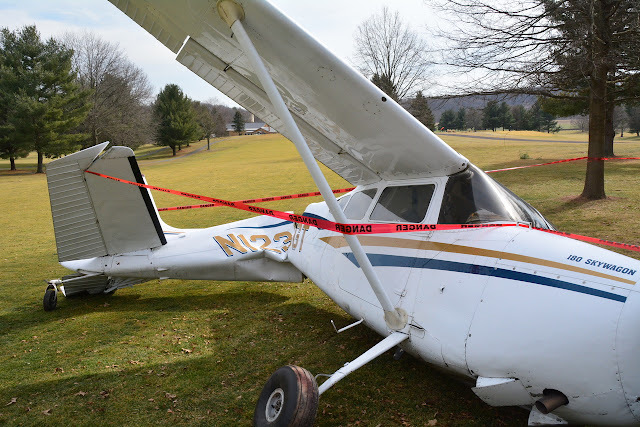 According to online FAA records, the plane was a 1966 Cessna 180 fixed wing single-engine aircraft owned by Jeffrey Schultz of Emmaus, Lehigh County. UPPER HANOVER TWP., Pa. - A small plane crashed and split in half at a golf course and airport in Montgomery County, next to the Berks County border. 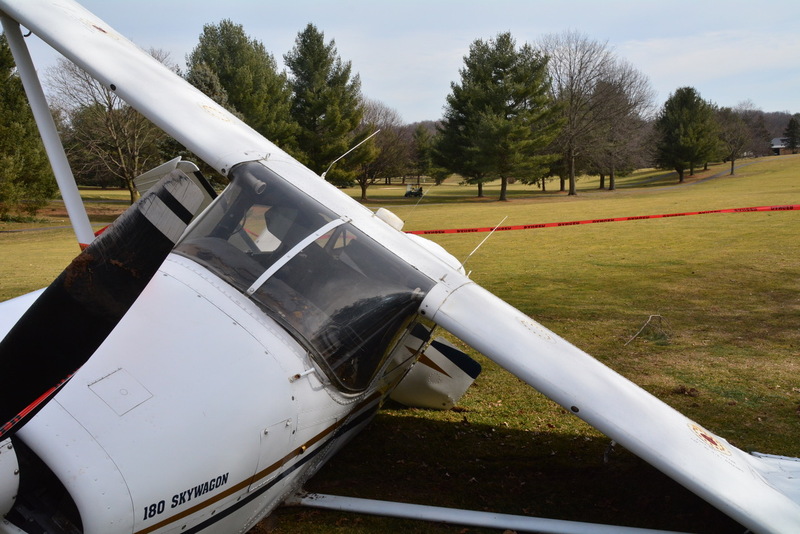 The crash happened Sunday afternoon at the Butter Valley Golf Port in Upper Hanover Township. The impact caused the plane to split in half. Amazingly, no one was injured, according to emergency communications officials. At this point, there's no word on what may have caused the crash. It's also unclear how many people were in the plane. 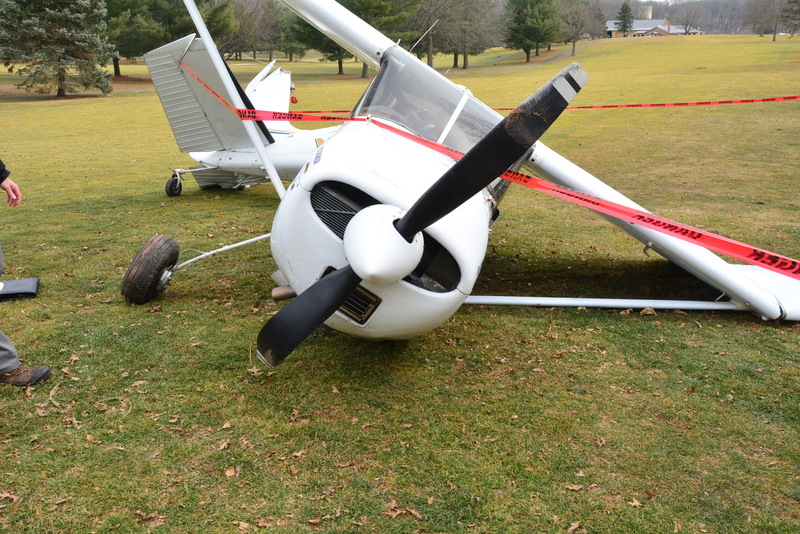 The area of the wrecked plane was taped off along a fairway. Not long after the crash, golfing continued at the course. 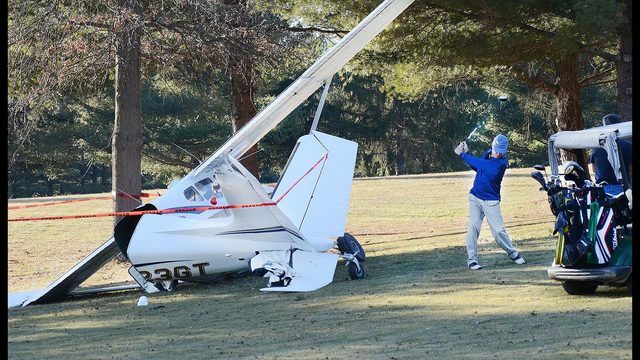 A 69 News freelance photojournalist captured an image of a golfer hitting a ball next to the wrecked plane. On its website, Butter Valley Golf Port describes itself as "one of the most unique places in Pennsylvania. 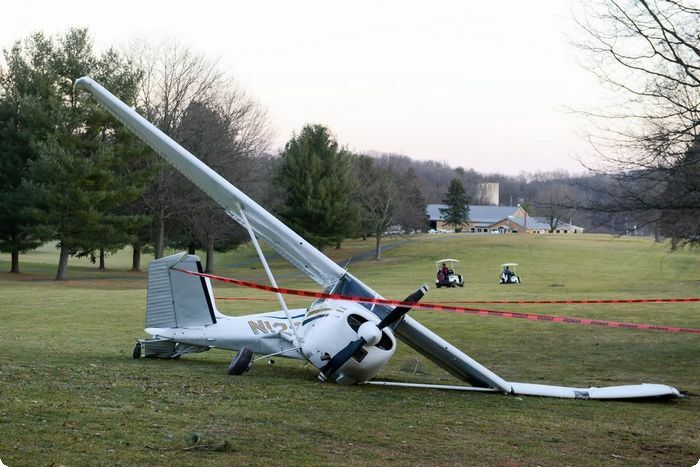 In a beautiful, rural setting about 30 miles northwest of Philadelphia, there's a fun-to-play, regulation golf course and quaint, little airport... together."